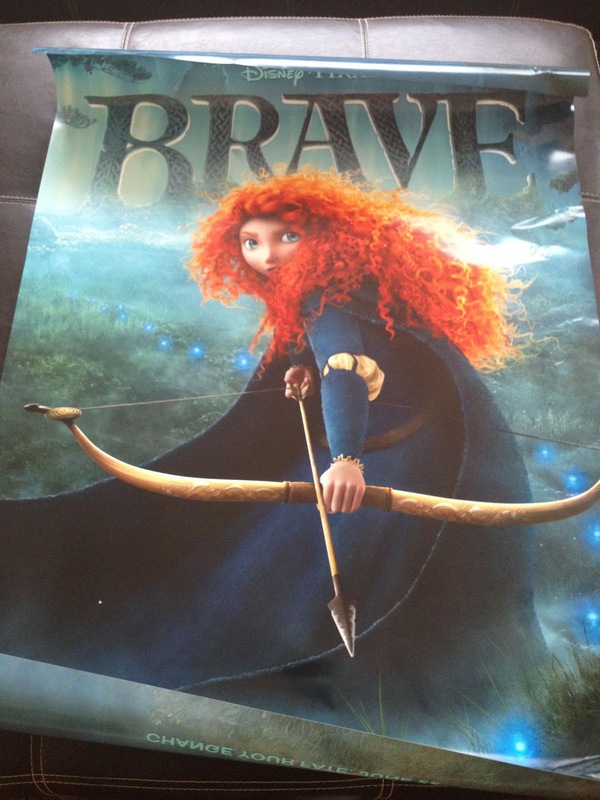 Our Official #BRAVEMovie Poster Freebie! I love a free rewards program that really pays off. Disney Movie Rewards is definitely in the top of my faves. Wednesday we received our official BRAVE movie poster thanks to DMR. I'd been saving codes and it paid off! This baby cost us 550 points and the little one LOVES it! Register - use code "aboutamom" to receive 100 points, thanks to About A Mom! Ticket tubs - for submitting a photo of your Disney movie stubs they rewards 50 points each. CDs and DVDs - specially marked products have a special "Magic Code" to get pts added to your DMR account. Most of my points come from the free ways to earn. I rarely purchase Disney movies or music. I did redeem my ticket stubs from seeing BRAVE this weekend and received 150 points! This is definitely something you want to sign up for if you like freebies. Are you a Disney family?